After, the surprising first round upset of the Washington Mystics, the #1 team in the WNBA's Eastern Conference, the Atlanta Dream look to take down the New York Liberty after taking game 1 of the best of 3 series. 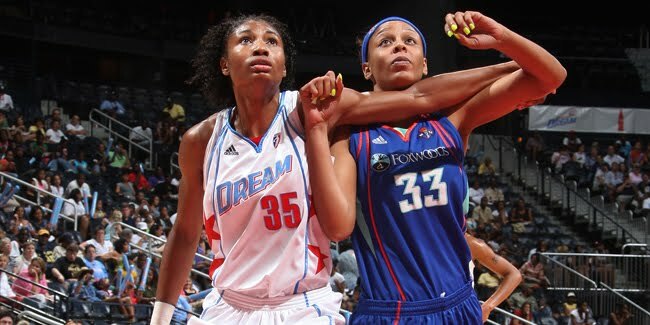 The Dream and Elite Hoops Hall of Famer, Angel McCoughtry bring their winning brand of basketball back to Atlanta tonight for game 2 and the chance to win the Eastern Conference! Go out and support Angel and the Dream tonight at Philips Arena at 7:30pm for game 2. Let's go DREAM! To read more about the Eastern Conference Finals visit WNBA.com.